New mommy? Oh, the happiness with that bundle of joy in your arms! But sigh! On your toes 24 x 7 x 365? Tiring, right, even though you’d never admit it! There are days when you have to hold your baby all the time, pacing the floor. I’ve been there, too! Do your shoulders and neck and back feel stiff from holding your baby? Of course, they do! 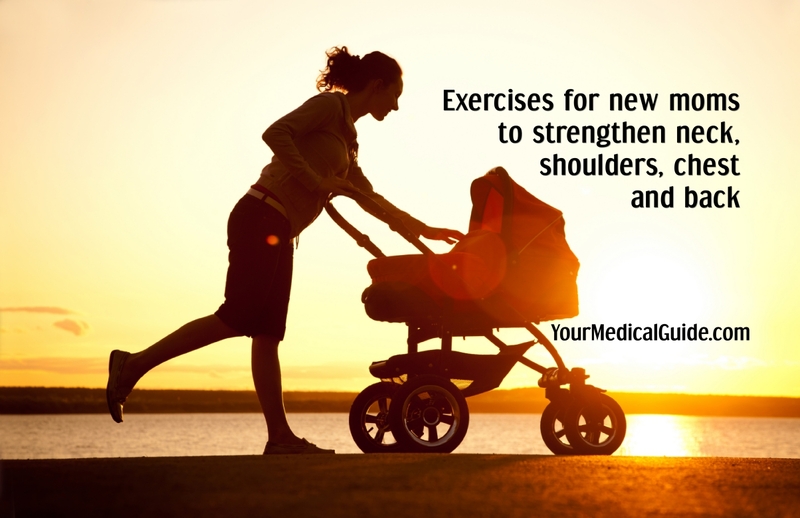 Since there’s no way you can skip holding the baby any time soon, the next best thing to do is make sure you learn some exercises to strengthen your neck, shoulders, chest and back. Best thing? You can keep doing these all your life. Do these exercises at least twice at week. All you need is two soup cans for some of these exercises. Stand tall with your hands at your side, holding the soup cans. Raise both arms up in the air until they are parallel to the floor. Lower both arms back, hands at your side. Next, with your hands on your thighs in front, lift both arms in front of you until they are parallel to the floor. Lower both arms back, hands on thighs. Stand tall, with arms hanging down in front, resting on your thighs. Hold soup cans together until they touch. Keeping them together, bring the soup cans up to chin height. Your arms will look like a V with your elbows high in the air. Lean forward, chest almost touching your knees. Don’t round your back. Let your arms dangle in front of you, knuckles towards the floor, palms facing each other. Place your palms on the wall, arms straight. Slowly bend your elbows, bringing your chest close to the wall, back straight. Exercises 1-5 will strengthen your shoulders, chest and back. That neck—you want to stretch it to strengthen it and keep it flexible. Tilt neck to the left, left ear towards shoulder, until you feel a stretch at the neck on the right side. Next, drop your chin towards your chest. Feel the stretch at the back of your neck? Right! Tilt head back until you feel the stretch on the front of your neck. 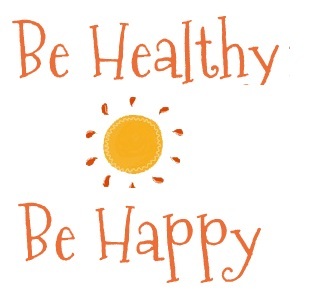 Remember – do these at least twice a week. By the way, you can continue to practice these even after your little one is all grown up!